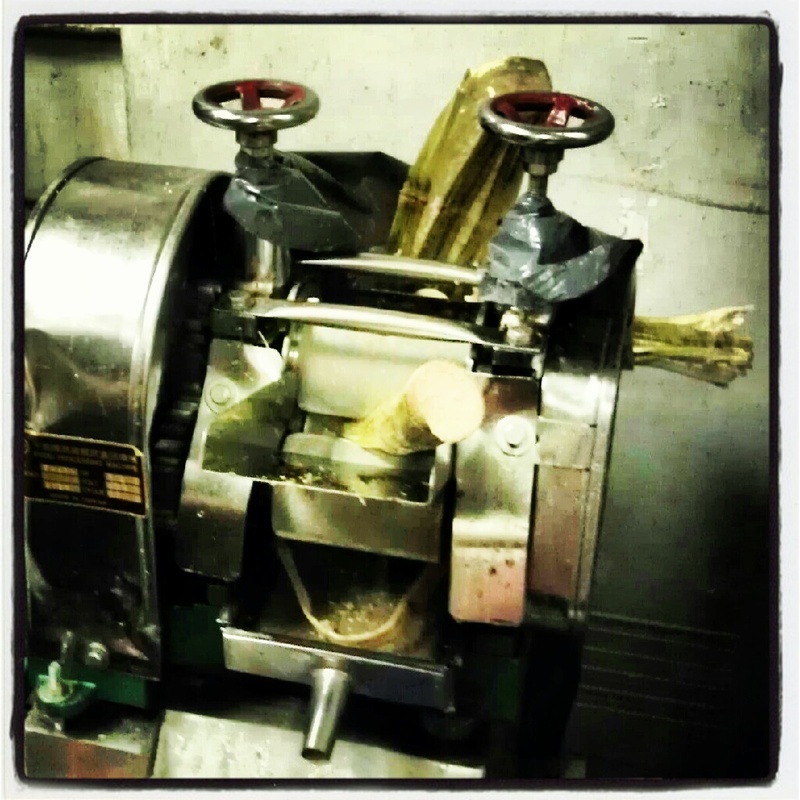 Fresh Sugar Cane Juice, the right way! 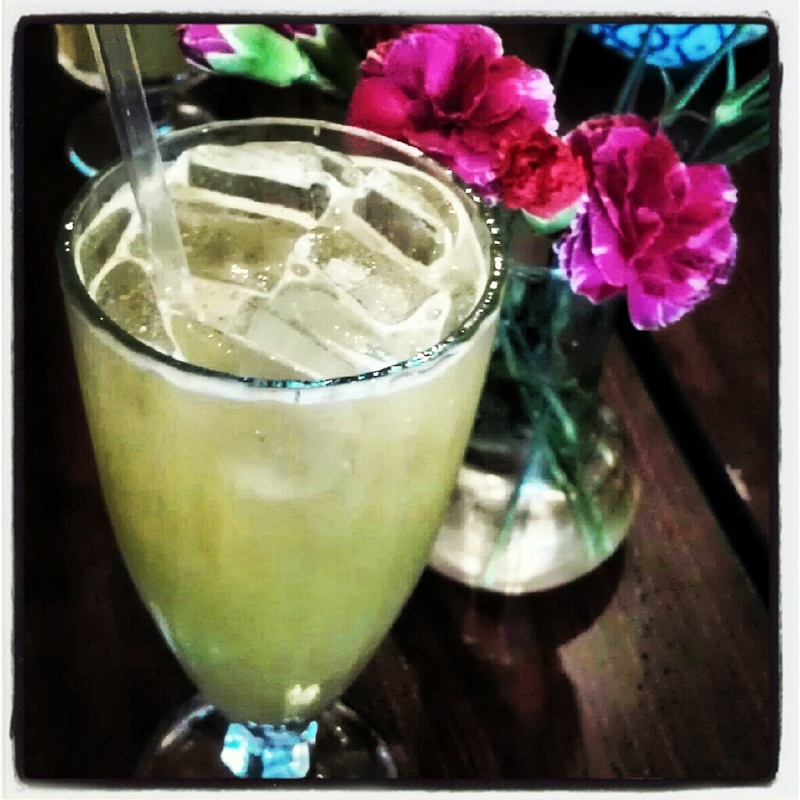 Sugar Cane Juice is one of the most refreshing natural juices I love to drink and more on this over 80F degrees days. I remember visiting a Bangkok Golden last week and Chef Seng asking one of the waitresses to bring a round of Sugar Cane juice for the table. 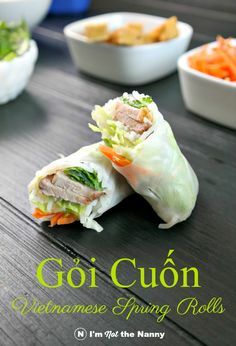 I visit this restaurant weekly but besides hot tea or a Beer Lao, I usually never order any drinks because of bad experiences in other places, I’m very picky about my natural juices so I never end up enjoying them unless truly they are fresh. Anyways, I was hesitant at first and then the pretty glasses arrived and with my first sip there came a big smile as well, it tasted just as when back in home at my family’s farm back home. This really brought back old memories, summer time playing with my brothers and cousins, running around, getting the Canes and passing through the Trapiche, that looks more like this: Old School Trapiche with a horse squeezing the cane through the pieces of wood in the middle, the horse would go around pushing it and the juice would go straight inside a huge container, sometimes I would get the already squeeze cane and just chew for minutes trying to get more juice out of it. I should write a whole post about Sugar Cane and Raspadura, I promise for the next time! This machine to squeeze the Sugar Cane juice is the one Chef Seng uses at Bangkok Golden Restaurant, really it can’t get fresher than this! Instead of using simple syrup on your cocktails I highly suggest replacing it with this nectar and if you get the chance like my friend Caitlin said, add a stick of sugar cane on that drink and no shame chewing on it!